Mr. Cletus Aguluka, a 60-year old man, has allegedly killed his daughter, Miss Onyinye Aguluka, in her sleep on Friday. Sadly, Onyinye’s traditional wedding had been scheduled for yesterday Saturday (2/06/2018). The incident occurred at about 2 a.m on Friday in Osikwu Village Awgbu, Orumba North Council Area of Anambra State. According to the wife of the suspect, Mrs. Georgina Aguluka, trouble started when Cletus came home in the night, drunk and couldn’t locate his torchlight. “The children told him that they didn’t know where it was, and he pretended that all was well, only for him to wake up around 1 a.m, went inside his room, brought out a machete and stabbed the daughter,’’ Mrs. Aguluka said. She blamed the sad incident on her husband’s new found love for drinking. Also speaking, the suspect’s younger brother, Mr. Sabastine Aguluka, said that his brother had been molesting people, especially members of his family, including himself. 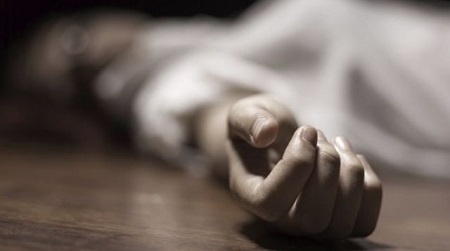 According to Punch, an eyewitness said that the suspect escaped through the window and ran away when men of the village vigilance group got to the house, after which they took the corpse to a morgue. Police Public Relations Officer in Anambra, Mr. Haruna Mohammed, confirmed the incident to newsmen. “Yes, the incident happened on May 31 at about 0200 hrs, and the suspect was arrested yesterday (June 1). “Investigation is ongoing, after which he would be charged to court,’’ he said.